For practical application e.g. in the metal or glass industry, temperatures from 300 °C to 3000 °C are typical. Due to physical reasons a measurement should be made at the smallest possible wavelength so that emissivity-related temperature measurement failures can be minimized. Also very narrow wavelengths ranges are important, e.g. 4.8 to 5.2 microns for measurements on glass surfaces due to an almost ideal emissivity of almost 1 or 3.9 microns for measurements through flames. 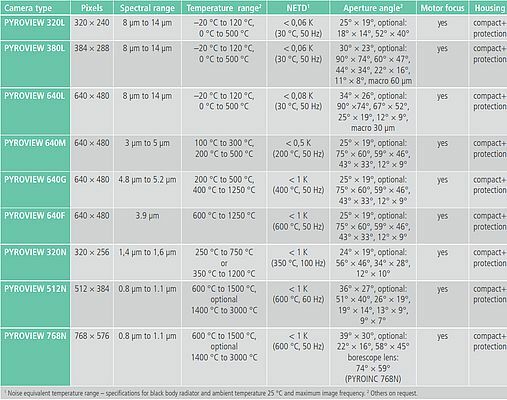 There many types of infrared temperature measurement devices that can be adapted optimally to the measurement tasks. In addition to the measurement temperature and spectral range, a distinction is made between infrared cameras and almost spot-wise instruments, so called pyrometers or radiation thermometers. Those devices include infrared sensors and optics, sensor signal processing and interface electronics. Everything is built in within an industrial housing. In industrial process measurement fixed devices like pyrometers or infrared cameras are preferred over portable devices. The pyrometers include IR single element sensors, for example, Si and InGaAs photodiodes or Thermopiles. Modern thermal imaging cameras have as a core component infrared 2D arrays, mostly uncooled semiconductor or micro bolometer arrays. 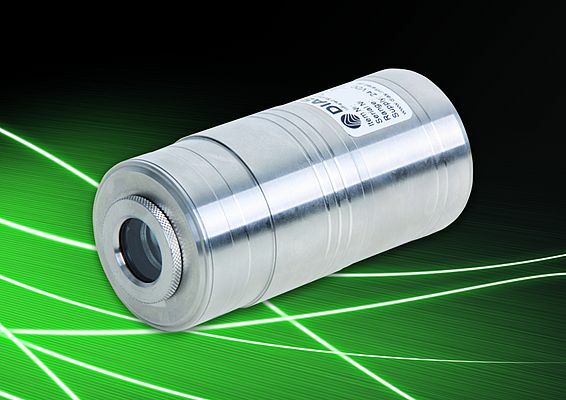 The numerous types of pyrometers and infrared cameras differ not only in temperature and spectral range, but also for example in optics used, target sighting, measurement frequency temperature resolution, housing type including cooling and air purge units for critical environment conditions and also electrical in and outputs. Of particular importance are increasingly the possibilities for the transfer of measured values in local networks. Also, for the parameterization and maintenance, the networkability is more important. The integration of PYROSPOT pyrometers from DIAS Infrared into local networks is now easily possible. The pyrometers to be networked can be connected directly to a LAN using the new DCUIoP Ethernet Interface Box. They are therefore suitable for IP-based data transmission to the terminal as well as for data exchange on a web-page basis. 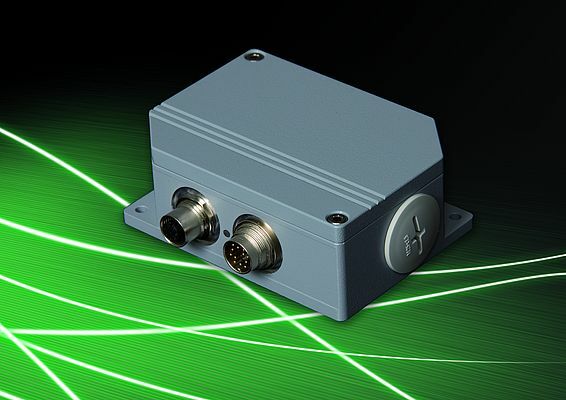 If several PYROSPOT pyrometers with RS-485 interface are connected to the DCUIoP Ethernet interface box, it is now possible to operate several pyrometers via one port under one IP address. In addition, the interconnection of pyrometers is greatly simplified by the built-in web server. 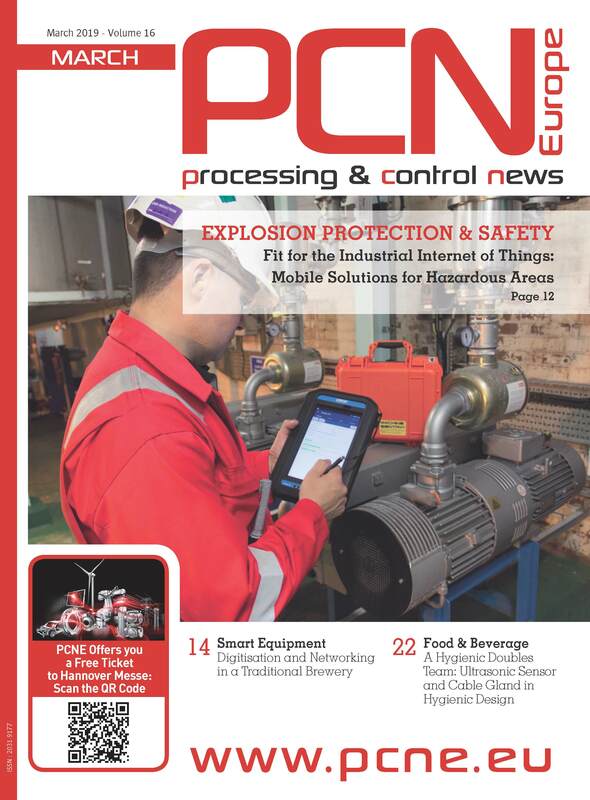 The optional wireless connection (WLAN, Bluetooth in preparation) also makes it easy to carry out commissioning, maintenance and on-site inspection using the smartphone or tablet web browser. The measured value transmission via IP / TCP can be done directly with the operating and evaluation software PYROSOFT Spot for Pyrometers. Up to 32 pyrometers can be connected to an Ethernet interface box. Distances of up to 30 m between the connected pyrometers and the DCUIoP are possible. Power can be supplied via Power over Ethernet (PoE) or via a separate 24 V DC supply. Up to 8 pyrometers can be supplied via PoE or up to 16 pyrometers via the separate infeed. The integrated web server enables the pyrometer parameterization and provides, among other things, information about the Device status (ID, IP address, etc. ), the number and type of connected pyrometers, the measurement history of all pyrometers over the last few minutes, documentations and the ability to display the video image of a selectable pyrometer. The PYROVIEW IRAS cameras and PYROLINE infrared line cameras also use the internet protocol (IP) for the transmission of measured data, but also for the controlling of the cameras as well as for service and maintenance. Especially for the last two functions, a built-in web server is available, which can be called up from any web browser in parallel to the measurement data acquisition. The web server displays the IR image of the current process and information about the technical data and the current operating status of the camera. If irregularities occur or problems occur, you can intervene directly. Certain settings on the device can be made. For security reasons, this is password protected. 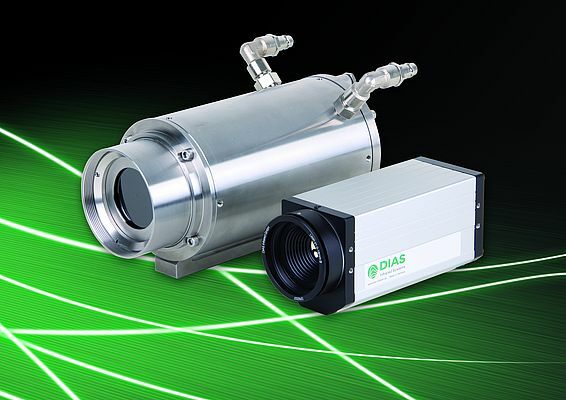 DIAS infrared cameras automatically report whether certain maintenance is required or malfunctioning. If this is the case, there is, for example, the option of remote maintenance via the integrated web server. It is also possible to remotely install a firmware update. The big advantage is that the camera does not have to be dismantled and sent. So updates can be made cheaper and more comfortable. Important instructions and technical documentation are also stored paperless in the integrated web server. Annoying searching and browsing is no longer necessary because the PDFs can also be searched. The use of non-contact temperature measurement technology has to be thoroughly planned due to the various influencing factors and a large variety of devices. An appropriate consultation is in most cases useful to avoid possible measurement errors and mishandles.